Mugavero does an excellent job of weaving the varied lives of a large cast of small-town characters together to create a coherent and thrilling mystery with a heart. It’s a fun mystery, perfect for a relaxing day by the pool or snuggling up in front of the fire on a cold winter night. The author did a great job writing about Connecticut in the fall, and I could see the pumpkins, and changing leaves. 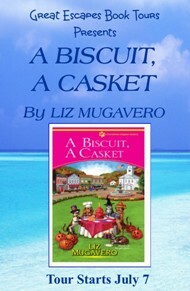 A Biscuit, A Casket is a quick, enjoyable mystery with an engaging heroine. I enjoyed A Biscuit, A Casket from beginning to end. 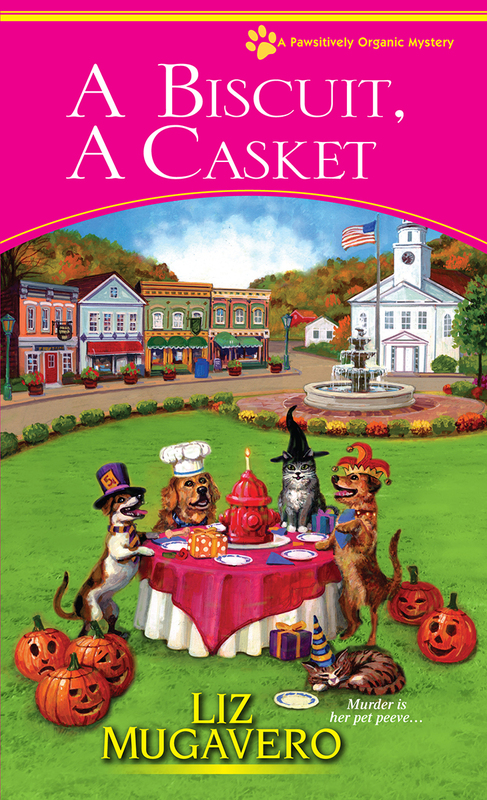 Such a fun well-written mystery that you can’t help but love. The mystery kept me guessing and the killer took me completely by surprise. 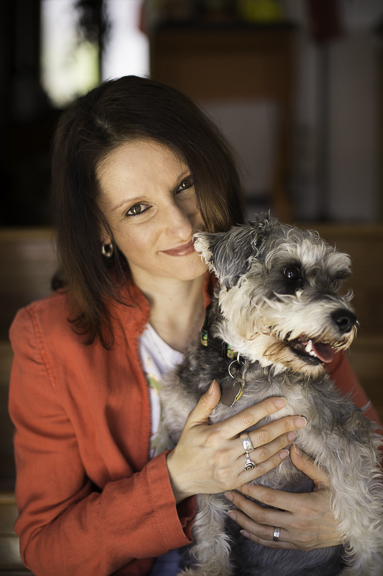 Liz does a such wonderful job with writing, that this book just flowed so well, and it was a very fast read.